This charming, floppy top hat was designed just for girls! That doesn't mean you can't make one for a grown-up girl. The stripes add a playful touch and the flower is the perfect finish! 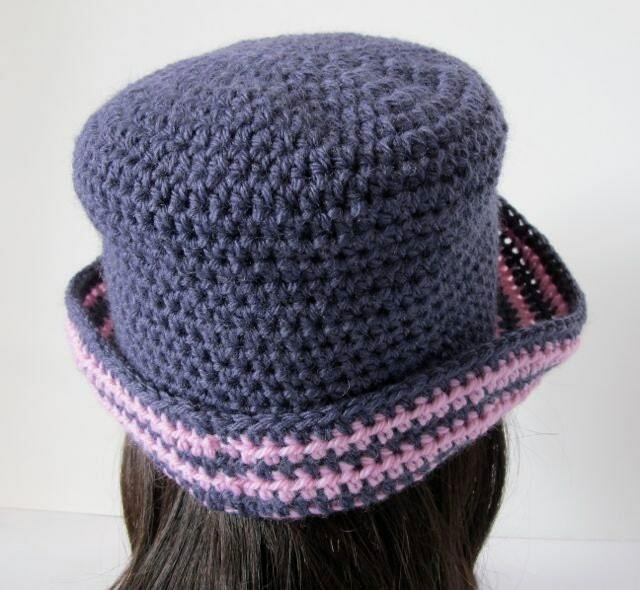 The hat pictured here was made using one skein each of Patons Classic Merino Wool in colors Wisteria and Petal Pink using a US Size H 8/5mm crochet hook. This pattern is written in such a way that you can perfectly customize the size. 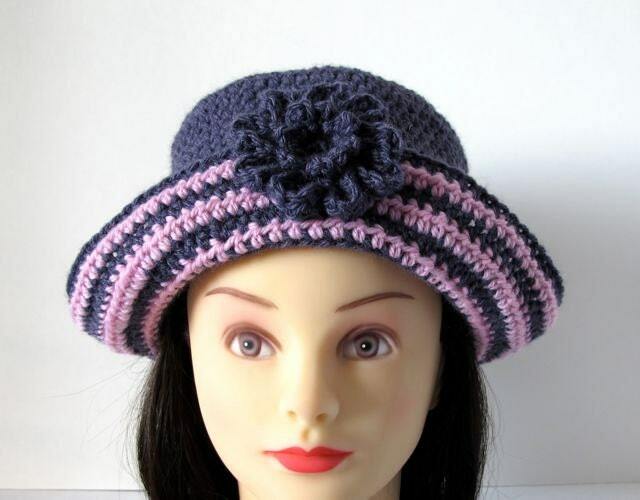 This purchase is for the Playful Stripes Girl's Hat pattern only. It does not come with the hat pictured here. 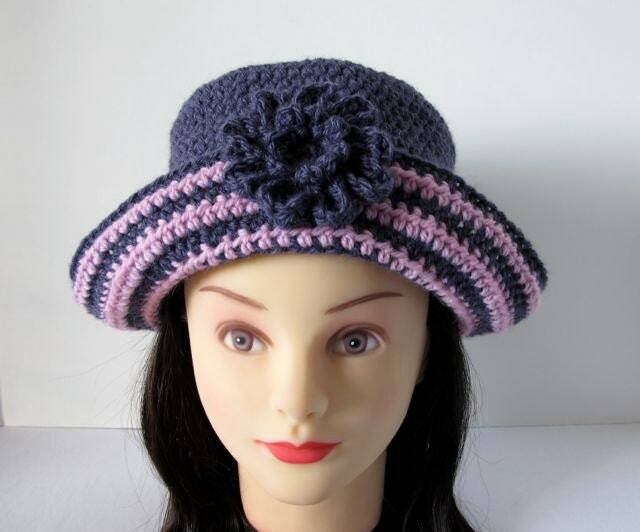 I hope you enjoy crocheting the Playful Stripes Girl's Hat!